Ivory Coast central defender Lamine Kone is set to be Sam Allardyce's first signing as Sunderland manager. 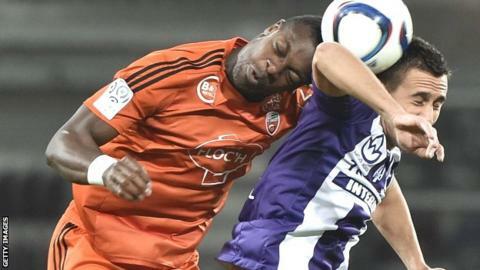 Lorient vice-president Alex Hayes said the Ligue 1 club have accepted a bid for the France-born 26-year-old. Kone played for France to under-20 level, but made his international debut for Ivory Coast in 2014. He played in two World Cup qualifiers last month. Hayes told Ouest-France: "It is now up to Lamine to find an agreement with Sunderland and pass the medical." Allardyce, who has presided over three wins from 10 games since taking over, said on Monday he would be looking abroad for signings in the forthcoming transfer window and that a central defender was a priority.